Ships tomorrow if you order in the next 21 hours 32 minutes. Organic Argan Oil from Morocco by NOW is an amazing multi-functional hair, skin and nails product. It adds shine to your hair and provides moisture for your skin, hair, scalp and nail cuticles. It also aids in the repair of damaged and irritated skin. For dry hair, scalp, skin and/or cuticles in need of natural and intensive moisture renewal. Beneficial for all skin types due to its rich fatty acid content. 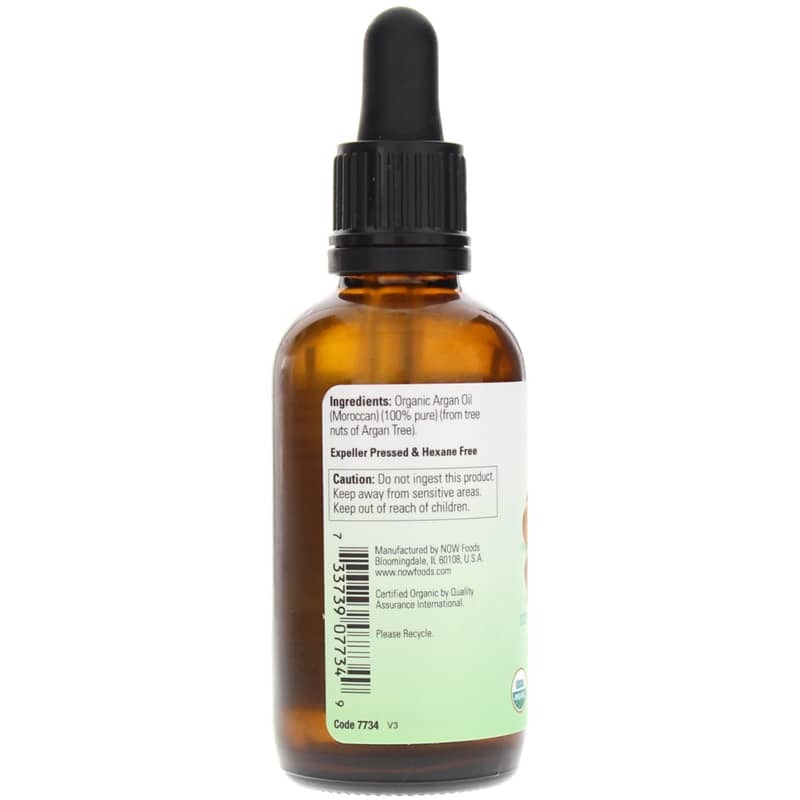 Organic Argan Oil is a multi-functional product. 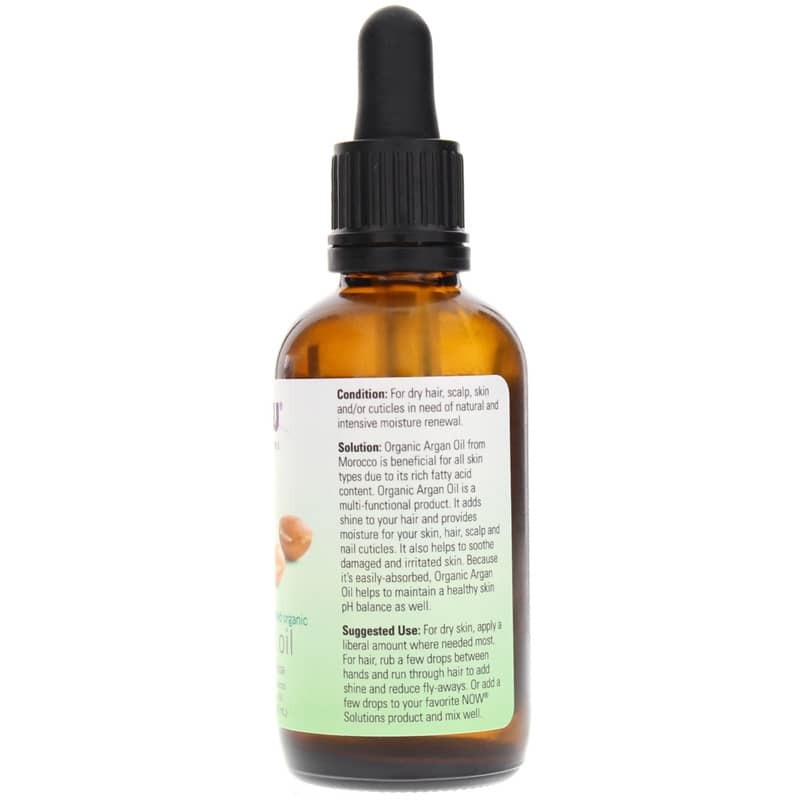 Organic Argan Oil helps to maintain a healthy skin pH balance as well. For dry skin: apply a liberal amount where needed most. For hair: rub a few drops between hands and run through hair to add shine and reduce fly-aways. Or add a few drops to your favorite NOW Solutions product and mix well. I've used Argan Oil hair mask and was amazed. The 100% pure argan oil works the same way on my skin. I am thrilled with this product. Argan Oil 100% Pure and Organic really is amazing! I wish I would have started using this a long time ago. I have been using now for a month and it has really helped clear my face and made it more glowing. I use this as a moisturizer morning and night. I will always use this!!! Argan oil was recommended to me and has been very helpful for healthier looking hair and skin. I now also use it on my husband, who is 83, and after a week his skin looks great!! I live in a VERY hot, dry climate and argan oil from now foods is has a wonderful feel for my skin, hair, and nails. It takes just a few drops rubbbed into your hands or rubbed on nails. I also mix a little with almond oil. After a shower, before drying off and while my skin is still wet, I squirt the oil on a dry wash cloth and wipe all over instead of drying off with a towel. It absorbs so fast I am never greasy. My skin stays soft feeling and never itchy. Plus there isn't a hundred different chemicals being absorbed into my skin! Love this argan oil!!! Both my husband and I use it on our face and hair. As a serum, we add a moisturizer w/SPF of 65 to our face. (My makeup goes on last.) This is a winner for younger looking skin...a MUST BUY at a FABULOUS price! Got exactly what I ordered VERY FAST! I was expecting to wait a week or two but received my Aragon Oil within days. This is my favorite brand of argan oil. Argon 100% Pure Oil is a really a great product! I do however need to give it a few minutes to absorb prior to applying makeup. That is the only drawback. I use it in my hair and on my face.. absorbs easily into skin ; leaves my hair looking and feeling soft without weighing it down; none of the silicone or heavy oils added that are greasy feeling, best i've used!! I like Argan Oil and use it for my hair. This is the best, and most reasonably priced, huile d'argan I've found outside of the Marrakesh bazaar. 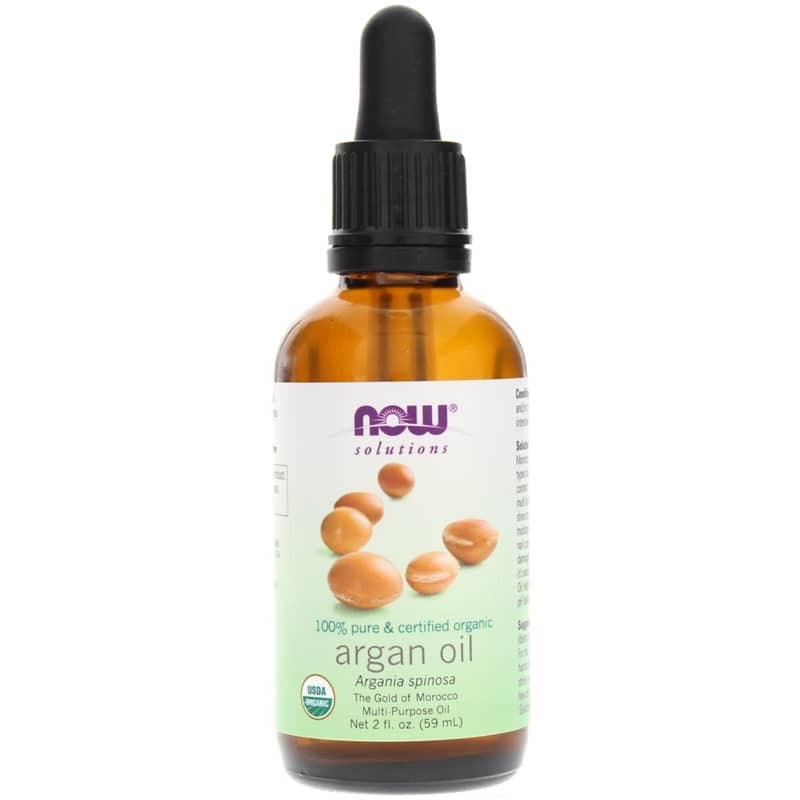 Argan Oil by NOW Foods is wonderful for keeping my skin looking smooth and glowing. Still a good product ! I use the Argan Oil 100% Pure and Organic. Overall, it has many uses and I'm happy to own it. I've tried another argan oil from a different company but really like Now's product. It's a lovely smooth texture and easily absorbs into the skin. The price is great! I've ordered products from Natural Healthy Concepts several times - their service is commendable. Argan Oil is just what I needed, all natural oil with no extras to irritate my skin. This is a natural way to softer feeling skin. I use it on my face, legs, arms. I love that it is a product from a natural source. I love the product, and it is inexpensive, natural, and goes a long way.